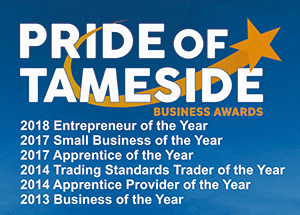 Established in 2002, Bathrooms by Timothy Michael are the longest established dedicated bathroom and wetroom supplier and installer company in the Tameside area. Bathrooms by Timothy Michael are based in Ashton under Lyne and design, supply and install bathrooms in Tameside, Lancashire, Cheshire, Saddleworth and Greater Manchester. We have transformed thousands of rooms, from completely refurbishing existing bathrooms and ensuites, to creating wetrooms, or even making new downstairs toilets from cupboards! We supply all of the quality branded products and have a range of tiles to choose from, leaving you with the peace of mind that everything has been taken care of. With a wealth of experience we take care of every aspect of the job, from the initial thorough survey, design and detailed plan, to the quality installation and precision tiling, right through to the cleaning up. Ensuring the only reason you’ll know Bathrooms by Timothy Michael have been in your home is the bathroom itself! In 2018 we carried out 84 installations and 71% of that work came from recommendations or was customers returning to have more work done. We are incredibly proud of the fact that for the years 2015-2017 over 60% of our work came from recommendation. Coupled with 100% of our customers saying that they would be happy to recommend us to others, it shows that our service continues to be exemplary! 2014 ‘Trading Standards Trader of the Year’. 2014 ‘Apprentice Provider of the Year’. 2013 ‘Business of the Year’. We are very different to most bathroom installation businesses as we employ all of our staff, we do not use sub-contractors therefore we give a two-year guarantee on the workmanship as well as the product guarantees which range from 1 year to a lifetime! 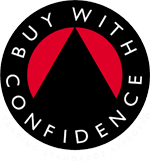 We are Tameside Council Trading Standards Buy with Confidence approved. Our showroom is by appointment only so please call on 0161 308 3088.